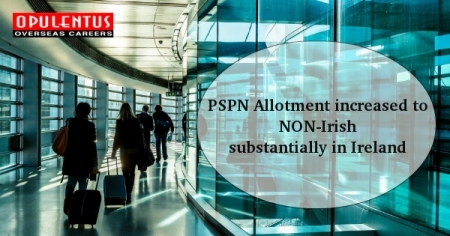 The PPSN allocation given to non-Irish citizens in all age groups was 107,767 during 2016. This shows an increase of 13.8% (13,066 in numbers) when compared to the allocations in 2015. From the 94,978 non-Irish nationals, who were aged 15 years and above, and had received an allocation of Personal Public Service Numbers in 2016, 51,914 had gained Employment activity in Ireland. 410,939 non-Irish nationals who received PPSNs from 2002-2016 had some employment in 2016. To find out if you are eligible to work in Ireland permanently, Email us at [email protected] or call us 7207111222. One of our experts will meet your expectations and provide answers to queries.